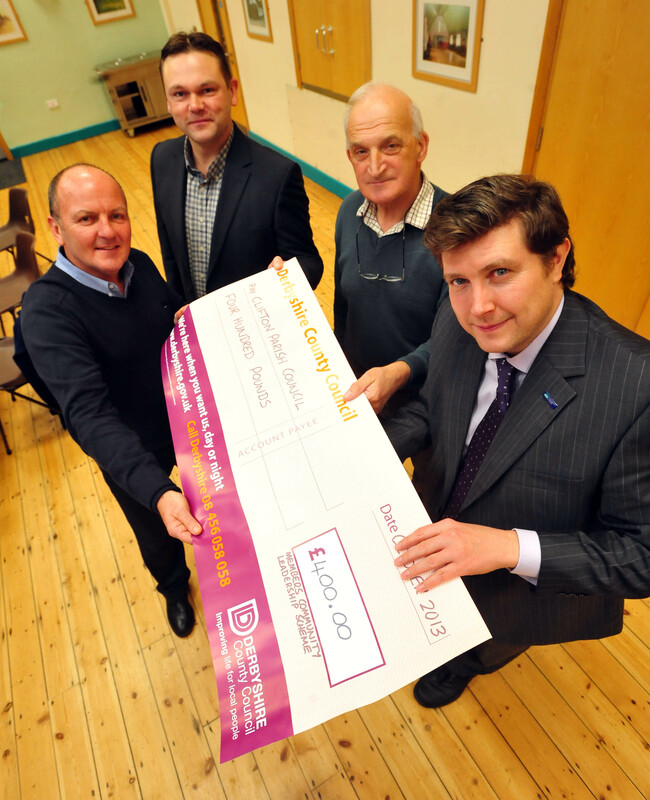 Clifton Parish Council was awarded funding under the “Members Community Leadership” fund to the Parish Council. The presentation of the £400 cheque came from Cllr A. Lewer’s. Derbyshire County Council offers the scheme to provide small grants to community, voluntary, youth and other local organisations. Its aim is to support worthwhile projects and initiatives that will benefit local communities. This extra funding will go towards the maintenance and renewal of the playing field equipment. Exciting proposals are being reviewed and we look forward to an exciting year ahead.